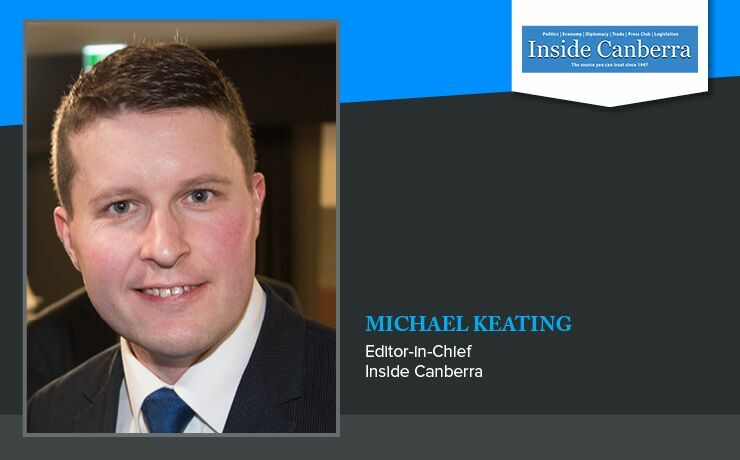 Inside Canberra’s Editor-in-Chief Michael Keating provides a summation of Canberra’s political landscape for the first quarter of 2018. The scene for the first week back for the year was set by Bill Shorten’s address to the National Press Club. In his speech the Opposition Leader laid out a new election manifesto based on improving the lives of “the left behind.” These were defined as the families who earned less than the median level of household income. Mr Shorten proposed to improve the lot of the “left behind” by reforming the industrial relations system to end job insecurity, while increasing the minimum wage to establish a living wage of 60% of the median wage. Labor have also proposed to ease cost of living pressures by capping the increases in private health insurance to 2% for two years and by reducing electricity costs through the introduction of more renewable energy into the generation mix. The government’s response was to point to the 400,000 jobs created in the last calendar year, the rise in business investment and the fact that tax cuts will create more jobs and lead to an increase in wages. Treasurer Scott Morrison pointed to Treasury modelling which showed that two thirds of the tax cuts would flow through to wages and German studies confirmed this in practice. 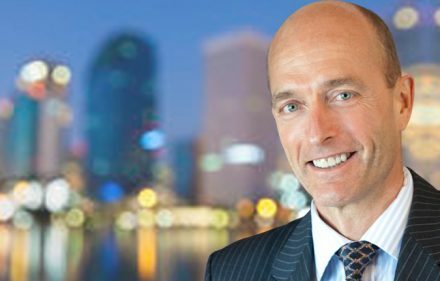 Richard Colbeck was cleared by the High Court to replace Stephen Parry in the Senate. He filled the seat vacated by the former Senate President after Mr Parry found he was a British Citizen. Richard Colbeck was a Senator for the state of Tasmania representing the Liberal Party of Australia from 2002 to 2016, having been first elected at the 2001 federal election. He was ousted by factional games within the Party: being put last on the Senate ticket in an unwinable position at the last election. The High Court has also ruled that Devonport Mayor Steve Martin can take up the Senate position vacated by Jacqui Lambie after she also found out she was a dual citizen. This is somewhat complicated by the fact that Mr Martin is no longer a member of the “Jacqui Lambie Network” after being dis-endorsed. However the High Court paved the way for him to take the seat. Greens Senator Andrew Bartlett will not contest his spot in the Senate at the next election. Instead he may run for the lower house, as stated by the Greens. Former Attorney General Senator George Brandis QC delivered his resignation and valedictory speech to the Senate. After standing down from the Ministry last year, he will now go on to be Australia’s next High Commissioner to the United Kingdom, replacing Former Howard Government Foreign Affairs Minister Alexander Downer. The person to replace Former Senator Brandis will be Brisbane barrister Amanda Stoker, who serves on the LNP policy committee. The government legislative programme was focused on business with the passage through both Houses of Parliament of the Regional Investment Corporation bill. The bill establishes the Regional Investment Corporation to administer farm business loans and financial assistance granted to states and territories in relation to water infrastructure projects, and any future programs prescribed by the rules. This is colloquially known as ‘the Barnaby Bank’ and its passage gave the Deputy Prime Minister a win in a week when he hit a political low as news broke of his affair with a staffer and his impending fatherhood. The passage of the legislation for the tax cuts for businesses with a turnover of more than $50 million was more contentious. Labor argues that this constitutes a $65 billion handout to the big end of town which will be paid for by an increase in taxes on low and middle income earners and that it comes at the expense of a proper level of funding for health and education. During question time on Thursday, question after question about the $65 billion handout for the big end of town was put to the Prime Minister and the Treasurer. How, the opposition wanted to know, could this could be justified to those who are being “left behind”? Labor forced five divisions on the bill before it was passed and will clearly try to use it against individual Liberal members at the next election. The Prime Minister was asked by Bill Shorten whether he would take the cuts to the next election. Predictably Mr Turnbull said that he believed that they would be law by then but that he would campaign on the basis of them. The government also introduced legislation to regulate the salaries of bank executives. The political week was dominated by the Barnaby Joyce affair. Yesterday the Prime Minister announced that Barnaby Joyce would be taking leave next week and that Matthias Cormann would be acting Prime Minister. This seemed to indicate that the Deputy Prime Minister was on the slippery slope into oblivion. This week the Senate welcomed a number of new members and heard a maiden speech from a distinguished soldier while the House of Representatives got on with passing important legislation. On Monday the House debated the Family Assistance and Child Support Bill which is designed provide a single child support payment to families to cover their child care and associated costs. Most families will be better off but stay-at-home single mothers will have their child care hours cut. Labor is opposing the bill on this basis. On Tuesday the House passed the Enhancing Online Safety (Intimate Images) Bill which is designed to make illegal the exchange of intimate images with third parties. In the Senate, Steve Martin who replaced Jacqui Lambie, and Richard Colbeck who replaced the former President of the Senate, Stephen Parry, were sworn in as Senators. Senator Colbeck was previously a minister in the Abbott and Turnbull governments and is likely to return to the front bench at some stage. On Thursday Kristina Keneally, who was until recently a next door neighbor of Inside Canberra, was sworn in as a new Labor Senator for NSW. The Prime Minister Malcolm Turnbull announced that the Deputy Prime Minister Barnaby Joyce will take a period of leave during the time he is meeting the President of the United States Donald Trump next week. At which point Senator Mathias Cormann will become the Acting Prime Minister as the next in line Julie Bishop will also be away in Europe during the week. As the Leader of the Government in the Senate Mathias Cormann assumes the role. The highlight of this week is the Prime Ministerial visit to the United States which started on Thursday and will take place over three days in Washington. The Prime Minister will meet with President Trump and Vice-President Pence, the heads of intelligence agencies, the top brass in the Pentagon and the Secretaries of the Treasury and Homeland Security. The Chairman of the Council of Economic Advisers, Gary Cohn, will also brief state and territory Premiers and the delegation of top business people on the new US tax laws and the prospects for the US economy. The Premiers of NSW, Queensland, Victoria and Western Australia and the Chief Ministers of the ACT and the Northern Territory will hold discussions with US state governors who are holding their annual National Governors’ Association (NGA) meeting in Washington at the same time. The exchanges will focus on infrastructure development and financing. Malcolm Turnbull will deliver the keynote address to the meeting. 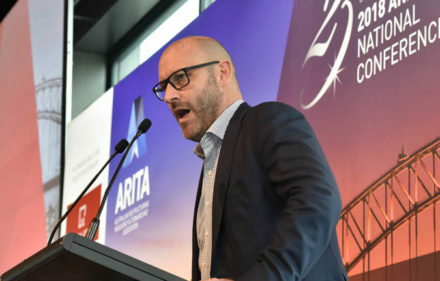 Mr Turnbull told journalists on Wednesday that the NGA conference would create huge opportunities for Australian and American businesses and governments. Mr Turnbull will meet with the President on Saturday. The American press is likely to be focused on Australia’s gun control in the light of yet another school shooting, this time in Florida. There will also be discussion of North Korea’s nuclear programme and America’s relations with China. Experts are saying that, after a shaky start, Malcolm Turnbull is one of the six or seven leaders around world who has established a rapport with the President. On another issue, Tony Abbott caused a storm when he told a Sydney Institute audience on Tuesday night that immigration should be drastically reduced. Contrary to reporting, Mr Abbott proposed that the numbers admitted under the temporary visa should be curtailed. He said that this would reduce the demands for housing and infrastructure in the major cities of Sydney and Melbourne. Treasurer Scott Morrison said that cuts of the magnitude demanded by Tony Abbott would reduce government revenues by $5-6 billion over four years. During this week Mr Joyce is meant to have been on leave but instead he has scheduled a whole lot of background interviews with the media during which he has cleverly played the victim card. Joyce took journalists around his “bachelor’s pad” in order to show that he wasn’t living in the lap of luxury while at the same time mentioning that he was going to have to quit the premises because of stake-outs by the paparazzi. Vicki Campion produced her pay slips to prove that she hadn’t received a pay rise when she moved to Damian Drum’s and Matt Canavan’s offices. Nor was the salary she was paid exorbitant. The saga culminated with a press conference today at which Mr Joyce announced that he was stepping down as leader of the National Party. This followed allegations by a woman in Western Australia who claimed that Mr Joyce had sexually harassed her. The President of the National Party, Larry Anthony, confirmed that this matter has been referred to the national executive for consideration. Mr Joyce told the press conference the issue was never about him, it was about the welfare of the voters in the bush. That was why he was in parliament. He said the voters need clear air so they have the best opportunity for protection. He also said that he had asked for the allegations of sexual harassment to be referred to the police but in the circumstances that he would step down as leader of the National Party and the Deputy Prime Minister on Monday. He would remain in parliament as a backbencher. He confirmed that he had not spoken to Malcolm Turnbull but that he had advised Matthias Cormann that he would stand down. The National Party elected a new Leader after the the resignation of Barnaby Joyce. There were a number of contenders however most pulled out except for George Christensen and Michael McCormack. Mr McCormack was comfortably elected as Leader. On Wednesday the Nationals were due to hold a party meeting to discuss the new ministerial arrangements and the Coalition agreement. The meeting was mysteriously postponed. It appeared that the ministerial arrangements were causing a problem. However Mr McCormack announced his new Nationals front bench on Thursday. On Tuesday night Geoff Cousins appeared on the ABC’s 7.30 programme to wedge Bill Shorten over support for Adani. Cousins told Leigh Sales that the Opposition Leader had told him that he would stop the Adani mine if the environmental evidence didn’t stack up. In question time on Wednesday the Prime Minister did not immediately attack Mr Shorten over Adani but pointed out that he had accepted a free trip from a Point Piper millionaire to go snorkeling on the Barrier Reef. He indicated that, after Mr Shorten had told coal miners at Oakey North that he supported coal mining, he’d then told Mr Cousins and the Australian Conservation Foundation that he would stop the Adani mine. Coincidentally Mr Cousins is a millionaire who lives in Point Piper, a close neighbour of the Prime Minister. This week in Parliament was dominated by the Senate estimates. These are increasingly used by the Labor opposition as tactical manoeuvres which can in turn be used during question time in the House of Representatives. Monday’s questions targeted officials from the Department of Communications and focused on NBN connections to the Prime Minister’s home in Point Piper and Kirribilli House. The officials revealed that, after a single phone call from the Department, both residences received a 100 megabit per second connection. The Shadow Communications Minister, Michelle Rowland, rose in question time in Tuesday to ask “Why does the Prime Minister get a 100 megabit per second connection while ordinary Australians have to put up with outdated copper connections?” The Prime Minister responded with the statement that his home had been connected to existing hybrid fibre cable which, coincidentally, was made of copper like 440,000 other Australians who live in cities. In another examination the Secretary of the Department of Home Affairs, Mike Pezullo, revealed that the enquiry by the Australian Commission for Border Force Integrity into a breach of public duty by Raymond Quaedvlieg, the head of the Australian Border Force, had been completed four months ago but had been the subject of a review by Martin Parkinson, the head of the Department of Prime Minister and Cabinet. The matter has now been passed to the Attorney General, Christian Porter, for a final decision. Mr Quaedvlieg was given nearly four weeks over the Christmas and New Year period to respond to Dr Parkinson’s report. “I’ve had fair opportunity to provide a response, yes, absolutely. And I’m also assured that my response has gone to the Attorney-General in an unabridged form,” he told media on Tuesday. The Attorney has promised to deliver his decision before the end of the month, which is not before time since Mr Quaedvlieg has received over $500,000 of taxpayers’ money while he’s been on gardening leave. On Wednesday, the Treasury Secretary John Fraser told Senate estimates that the company tax cuts were fully funded in the current budget so they posed no threat to the surplus. This contradicted arguments by the Shadow Treasurer and some commentators that the cuts were unfunded. Former National Prime Minister of New Zealand The Right Hon John Key visited the Australian Parliament on Thursday. The former New Zealand PM sat in on the House of Representatives question time and had many meetings with MP’s in the House including Minister for Environment and Energy Josh Frydenberg in his office. The first $64 Dollar Question was asked at 65 Northbourne Avenue this Monday with Tim Wilson MP as the guest speaker. Mr Wilson gave a broad ranging view on evolving the parliamentary system including the power of states and federalism. He suggested there’s been a dramatic shift in the past year in the public in regard to institutions in sentiments and value. The lowly poll data recently published showed that young Australian’s aren’t engaged in our democratic process and are interested in alternatives. Mr Wilson suggested that is because they didn’t understand the alternatives, quoting the fact that the Berlin wall has been down longer then it was up and most young people haven’t known any of the other problematic systems. He said “Democracies work best the closer it is to the people it serves”. In addition Mr Wilson said that it’s difficult to get this done in Federal Parliament, whereas State Parliament’s actually get a lot done with the exception of “Queensland which doesn’t have an upper house”. Australia is also made up of many different entities bound together under Federalism with many different interests. In Mr Wilson’s view one measure to “Combat the rise of populism is to dramatically decentralise”. He suggested many ways of doing this, such as giving more power back to states and councils. He said the problem with centralising power in Canberra is that the power is distant from the people it represents. He also agreed with the principle espoused by West Australian Liberal Senator and modest member Dean Smith that State Parliaments should be appointing High Court Judges to protect federalism. Also suggesting that states should be allocating the Federal government money every year not that other way around. This week has been dominated by Donald Trump and his tariffs. Bill Shorten has been calling for the government to take a tough approach which might or might not include retaliation. The government, on the other hand, has been pinning its hopes on the statements from the White House that there may be exemptions for some countries. Mexico and Canada have been granted temporary exemptions while the North American Free Trade Agreement is being renegotiated. The role of the Western Australian Nationals in the revelation of the complaint by Catherine Marriott against Barnaby Joyce has become murkier with the leader of the WA Nats, Mia Davies, admitting she had conversations with Ms Marriott but denying she was instrumental in the complaint being lodged. At the moment it’s unclear who leaked the details of the transgressions or what their motives might have been. Behind the scenes Attorney General Christian Porter released details of the new amendments of the Espionage and Foreign Interference legislation in which the prohibitions on dealing with classified information by public servants have been clearly differentiated from prohibitions applied to journalists. Journalists are offered a stronger defence to prosecution and the definitions of what constitutes secret and top secret material has been clarified. In a sop to International Women’s Day the Prime Minister announced the establishment of a new position of Ambassador for Women in Science. The ambassador will travel around the country encouraging girls to enter into science, technology, engineering and mathematics professions. Bill Shorten made a number of trips to Adelaide to promote the cause of the Weatherill government. The polls in that state are stubbornly refusing to move which puts the best chance of government with a Labor – Xenophon coalition. President Donald Trump’s nominee for Ambassador of the United States to Australia Admiral Harry Harris was in Canberra on Tuesday. The Admiral attended a Ceremonial Honour Guard in Canberra, in advance of his meetings with Australian officials and others through the course of the week, culminating with MILREPS – a strategic forum to improve cooperation between the U.S and Australian Defence forces. President Donald Trump announced he will be implementing steel and aluminum tariffs on products entering the United States. Prime Minister Malcolm Turnbull was quick to respond. Mr Turnbull authored a letter to the President, incorporating prominent Australian names including Chairman of Visy Anthony Pratt and golfer Greg Norman who are both friends of President Trump. The offensive was successful with President Trump tweeting that he spoke with the Prime Minister and “is committed to having a fair and reciprocal military and trade relationship with Australia. He said he’s “working very quickly on a security agreement so we don’t have to impose steel or aluminum tariffs on our ally, the great nation of Australia”. The Prime Minister said at a news conference in South Australia that “I was very pleased that the President was able to confirm that he would not have to impose tariffs on Australian steel and aluminum and, of course, now the legal paperwork – the proclamation process under the executive order – will take its course to put that direction into effect. So that was a very good and productive discussion with the President”. The Treasurer Scott Morrison announced the National Accounts update for the December Quarter on Wednesday in Parliament House. The accounts showed strong jobs growth however some significant problems. The ABS significantly revised the June & September Quarter 2017 Household Saving Ratio statistics (seasonally adjusted) from 3.0% & 3.2% respectively down to 2.5% in each quarter. The Household Savings Ratio for December 2017 (seasonally adjusted) came in a 2.7%. The last 3 quarters are the lowest rates of household savings since the Global Financial Crisis. This means imbalances in the economy in Australia are getting worse and households are taking unsustainable levels of debt. Once interest rates rise this will cause many defaults in the economy. Another measure of note is that Australia’s foreign debt increased by $9.9 billion in the December 2017 Quarter sending total foreign debt back over $AUD 1 trillion.